The Mars One mission began accepting applications from people who wanted to be among the first to travel to Mars back in April of this year, and when the first round closed on August 31st, they had received 202,586 applications from over 140 countries. The plan from here is to whittle it down to 24 to 40 people by 2015, who will then move to the United States for seven years as paid full-time employees of Mars One, where they will spend nine months of each of those years training. They’ll learn dentistry, emergency medicine, general medicine, engineering, biology, mechanics, and everything else they’ll need to know to survive in such an extreme situation. 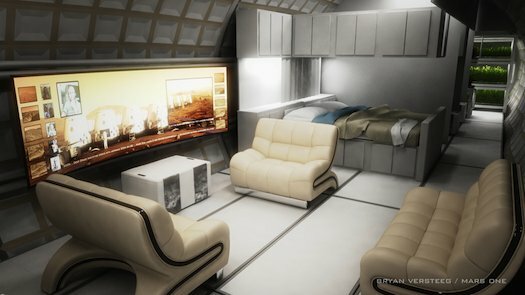 The other three months will be spent in a simulated Mars habitat to get a better feel for what to expect, get used to the 40-minute communication delay with Earth, and practice facing and handling various emergency situations…such as a broken toilet. Yeah, that would be very, very bad. Supplies and such will be heading there in the coming years, and ultimately four people—two men and two women, likely to be from four different continents—will become the first group to set off for Mars nine years from now in September of 2022, and they’ll arrive at their new (and final) home seven months later in 2023. After that, assuming all goes well, another group will be sent every couple of years until a small community exists. It’s said that it will cost $6 billion to get that first group to Mars, which is obviously a speedbump. The solution? Advertising, of course! The plan is to make this entire process very visible, and the final rounds of the search for the people who will attempt to take this “Next Giant Leap For Mankind” will be televised as a reality series. 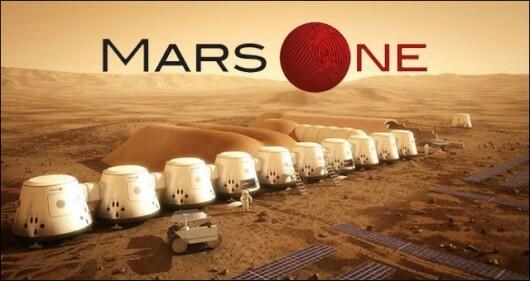 Mars One is confident that there will be a media frenzy around this mission, and that this level of interest should help them to raise the necessary coin. They already have a place where you can go and check out the applicants and help vote for those you think should be chosen. Usually I would say that it’s all crazy. But if all plays out well and they’re this serious about sending people to Mars? How could we NOT watch? It would be fascinating to see people actually willing to risk their lives and sacrifice everything and everyone they know on this planet to go and live on the Red Planet. I’d surely be tuning in.